Hi everyone! Today I'm sharing a layout for Clique Kits and on their blog you can find a little tutorial on using Silhouette cut files for your backgrounds. Each and every month the Clique Kits come with exclusive cut files and I want to show how to use them in a 'different than usual' way. 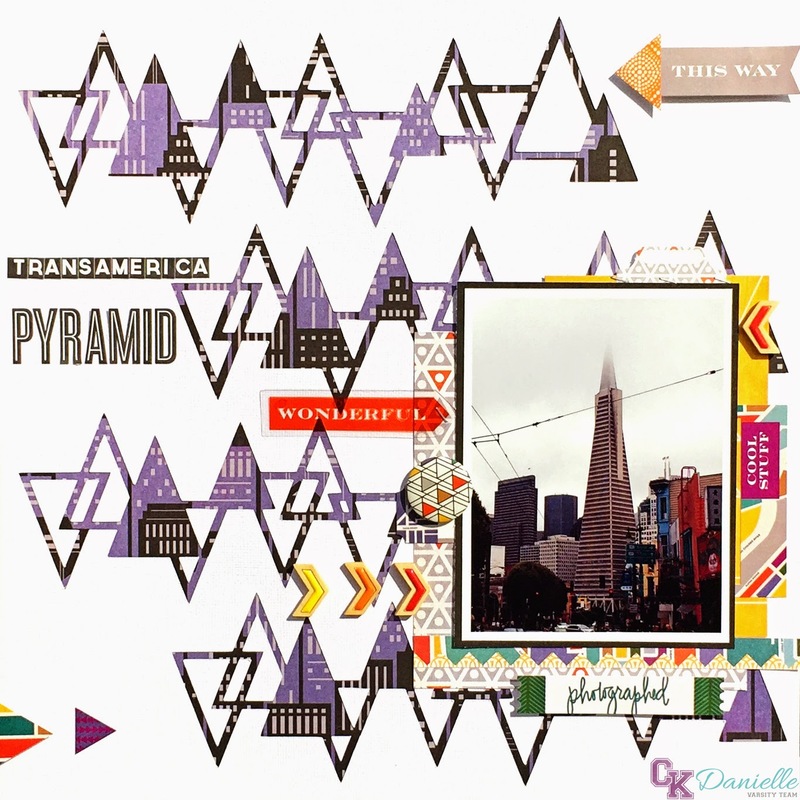 For this layout I used the triangle border cut file, which is a perfect design for the picture of the Transamerica Pyramid in San Francisco. 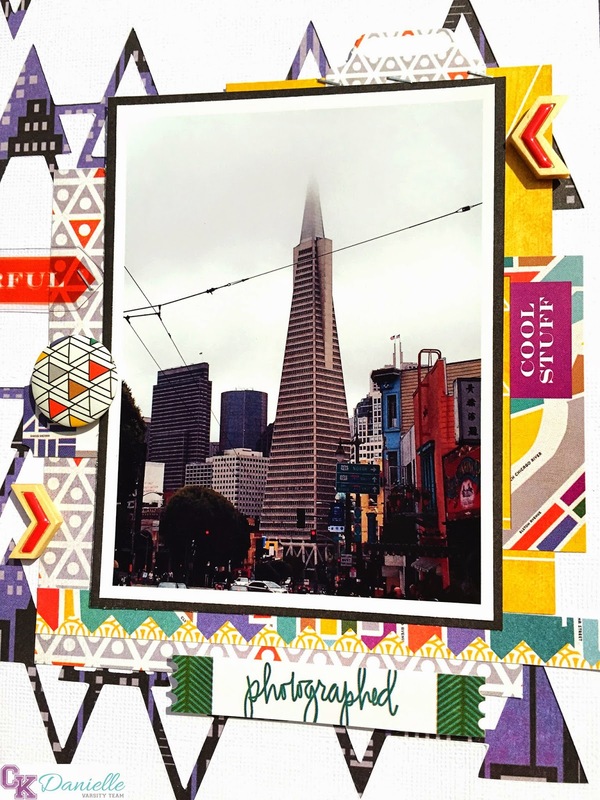 I used the triangle as a returning element on my page; besides the cut file you can also find them in the flair button, element stickers and patterned paper behind the photo. 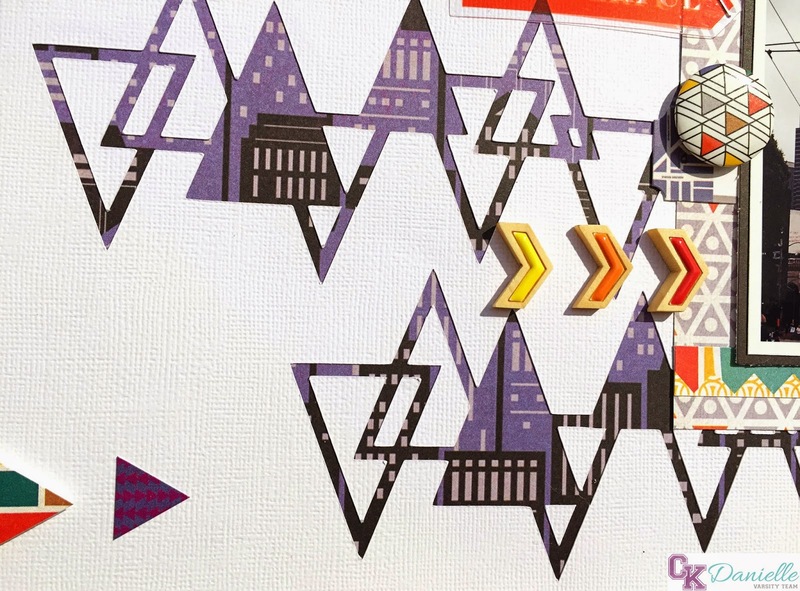 All these fabulous papers and embellishments are from the Basic Grey Second City collection, with an addition of the Pinkfresh Studio wood chevrons that all came with the October Masquerade Ball kit. This is such a cool layout, Danielle!! 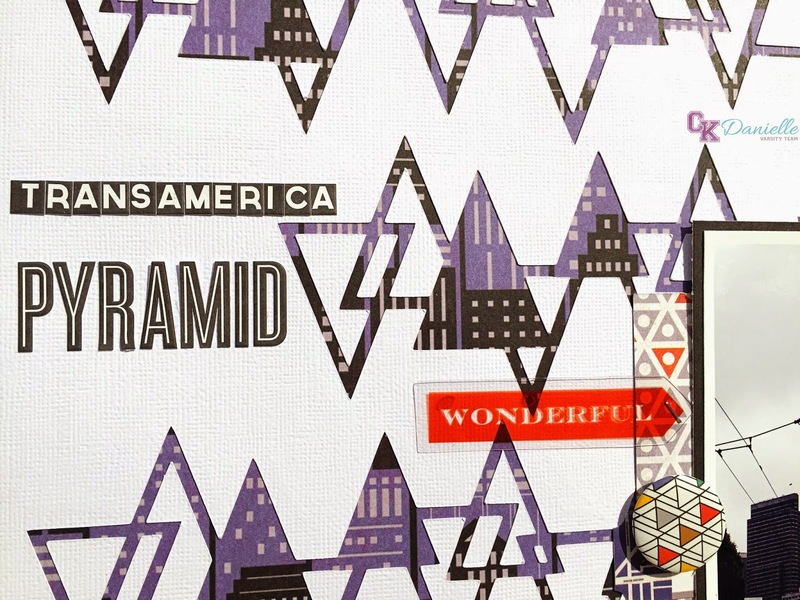 I love the way you used the triangle cut file on your page! !